DroniXcar project is the winner of the Hackathon Torino 2015. The first step is to put all the components on the chassis of the RC Car, performing all the connections. 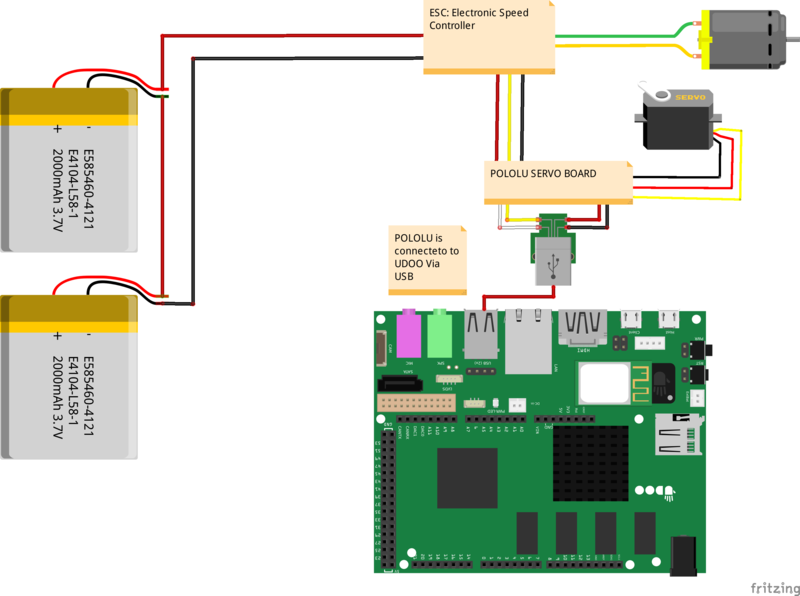 The board Pololu is connected to Udoo via USB. For the Real-Time Video Streaming from UDOO camera, we used "motion"
The Android Application was implemented with the Material Design and RXJava for "Reactive Programming"
I'm a software designer and engineer with proved experience with Linux Embedded devices and many micro-controllers. I'm an Android platform expert.. Thanks to Stefano Viola and Antonio Gisondi.